In this week’s grab-bag column, I look at why you can’t import some videos into iTunes, how to protect yourself from accidentally deleting files from your library, a Home Videos library view glitch, and finally offer a way to view the iTunes Store and your music library in two separate windows. Q: I have over a hundred movies stored on an external hard drive and have been unable to import any of them into my iTunes library. How do I do this? This correspondent didn’t say which formats the videos are in, but it’s likely that they are in a format that iTunes doesn’t support. 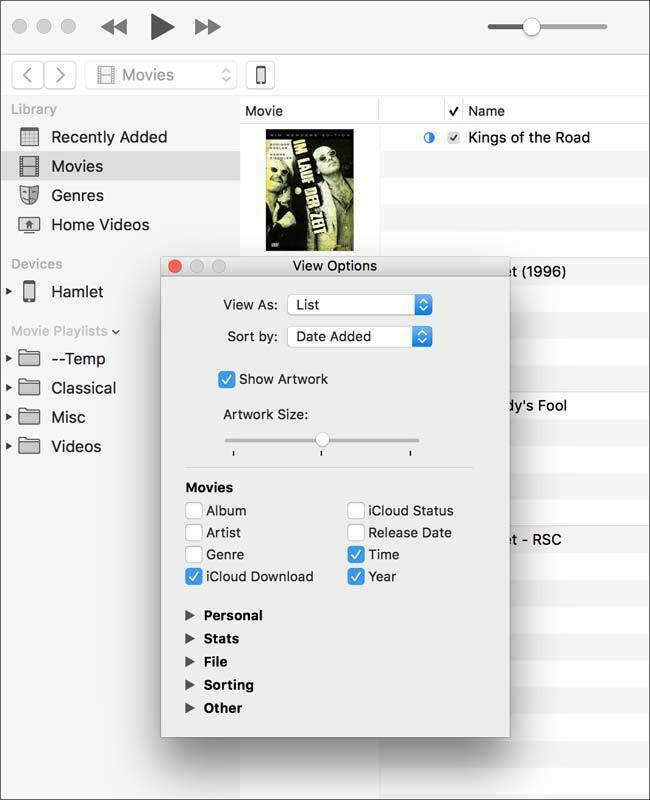 iTunes only accepts videos in the H.264 and MPEG-4 formats, in files with the .m4v, .mp4, and .mov extensions. You can tell if iTunes will accept a video by trying to play it in QuickTime Player. If it works there, it will play in iTunes. You may have videos in other formats, such as .mkv, .avi, and others. If so, you can convert these videos to one of the formats that Apple supports using a number of apps, including the free Handbrake. 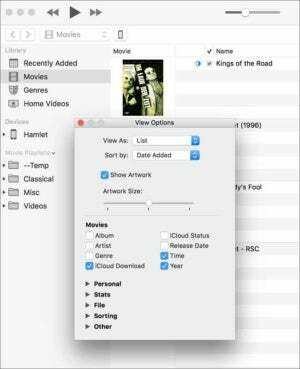 In this article, I discuss ripping DVDs with Handbrake, but you can also use this app to convert videos from one format to another. Just select a video file instead of selecting a DVD to make the conversion. Another option, if you have files in formats that iTunes cannot support, is to use Plex for your video library. That’s what I do, since I rip my Blu-rays to .mkv format. Read this article to learn more about using Plex to manage a video library. Q: There’s one thing that really bugs me about playlists. If I want to delete a song from a playlist I can right-click it and choose the “Remove from Playlist” option, but that option is directly above the “Delete from Library” option. Several times, I’ve mistakenly chosen the wrong one. This is really annoying; is there anything I can do? First of all, if you do accidentally choose Delete from Library, you’ll find the file in the Trash, so you can add it back to your iTunes library. But iTunes should warn you if you make this choice. iTunes displays a dialog when you choose Delete from Library. It’s possible that, at some point, you checked Do not ask me again and you don’t see this dialog. If so, it’s a good idea to restore that warning. You can do this in iTunes’ preferences, on the Advanced pane. Where you see Reset all dialog warnings, click Reset warnings. 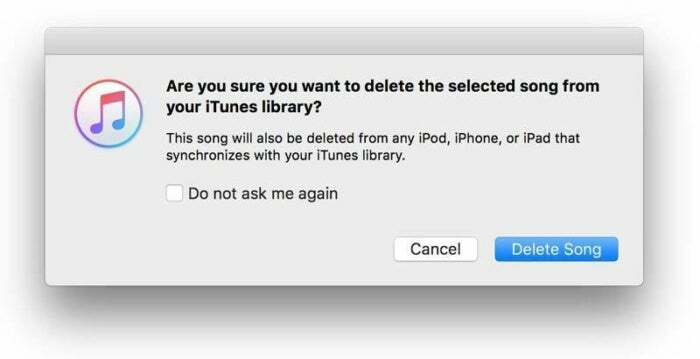 You may encounter a lot more dialogs than you’re used to seeing, and you can tell iTunes to stop nagging you for those, but it’s a good idea to keep a warning for an operation such as deleting items from your library. Q: My Home Videos library, in List view, has an Artwork column, but I’m unable to remove this in the usual way, by right-clicking the column header, as is possible with all other columns. Is there any way to get rid of it? It’s annoying, because every home video is now three lines high, instead of one without the artwork. There's a glitch in the way the Home Videos library displays in the latest version of iTunes. The Movies library's view options make sense. But even those display options are wrong: it offers to sort by album and artist, rather than by movie or director. In Grid view, you can sort movies the right way. These options are available in Grid view for Movies, as well as Home Movies. Let’s hope Apple fixes this. Q: Why can’t I view the iTunes Store and my music library at the same time? I’d like to be able to compare what I own from an artist’s catalogue. 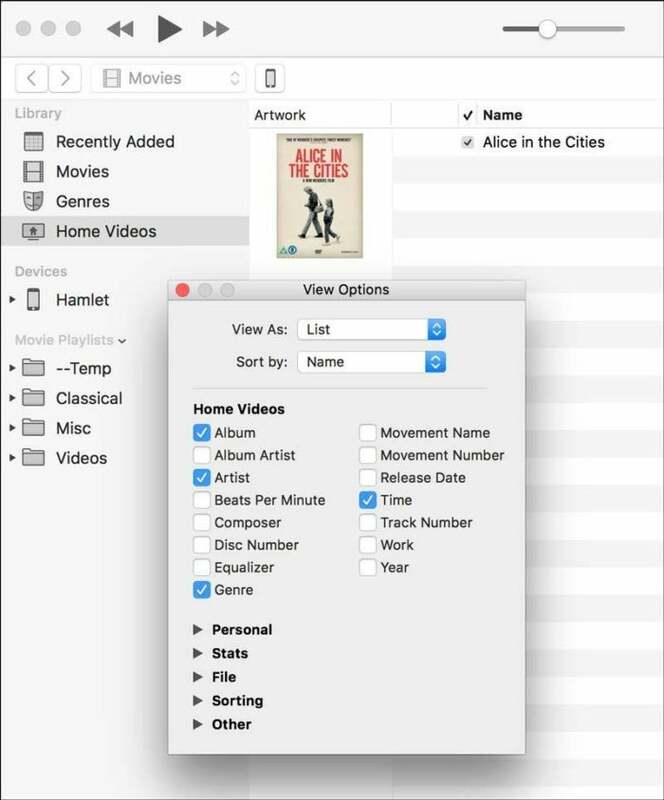 Recently, Apple brought back the ability to open a playlist in its own window. So here’s a workaround. Make a smart playlist to match music for the following rules, and set the condition time is greater than 0:01. This will match all your music files. In this playlist, choose View > View As > Songs. Then press Command-B to display the column browser. You’ll be able to view all your music in the browser, and you’ll be able to drill down by genre, artist, and album. Right-click that playlist in the sidebar and choose Open in New Window. Switch back to the main window, and click the Store tab. You can now view both at the same time. And if you want to view another media kind and the iTunes Store at the same time, make another playlist with the condition, for example, match movies for the following rules.